When in our hands, you may rest assured that you will receive the highest possible quality science-based endodontic treatment in a professional and friendly atmosphere. 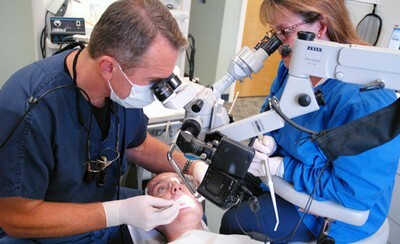 Our goal is to meet and exceed the expectations of each and every patient. Our main philosophy - make no compromises. Treatment decisions are based on high level clinical research. We spend as much time as needed to achieve the best result. We stand behind our treatment - everything possible will be done to address problems and complications. Emergency patients are accommodated as soon as possible. 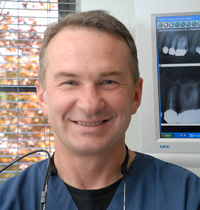 Petaluma Endodontics is a specialty practice owned by Dr. Orest Balytsky located in Petaluma, CA. We are equipped with state of the art technology. Our digital radiography system provides us and our patients with the benefit of minimal radiation and immediate high quality image presentation. Operating microscopes provide up to 20-fold magnification of the operating field. Our fully computerized, paperless office enables us to communicate smoothly and effectively with our patients, referring dentists, and insurance carriers. In our practice, patient comfort is just as much an important part of the treatment process as cutting edge technology and the scientific foundation of every procedure. We recognize that some of our patients may be apprehensive about their treatment. Our highly trained and friendly staff will guide you through all the aspects of endodontic care professionally and compassionately. They will make every effort to insure that your visit to our office is a pleasant one. The biggest compliment to us is when a patient falls asleep during the procedure, which happens quite often. For our patients who require added comfort, we offer oral sedation or IV sedation if needed. I just wanted to say thank you for the wonderful care you took of me! I am so grateful for your kindness and compassion. It made my experience not so terrifying! Thank you, thank you, thank you! Thanks so much for taking such great care of me and my poor tooth! Thank you very much for the work you did. My teeth feel so much better. I don't have that awful pain anymore and I have you to thank. What you have done means the world to me! I will be able to eat on both sides of my mouth and feel normal again. Thank you again for everything you have done. I want to thank you all for your great care. I felt safe with you. I wanted to thank you for saving my tooth. I had absolutely no pain after the second procedure. Your skill and knowledge are much appreciated, especially since this tooth anchors my dental plate. Again, thank you for the job well done.